Even in “retirement” Bro. 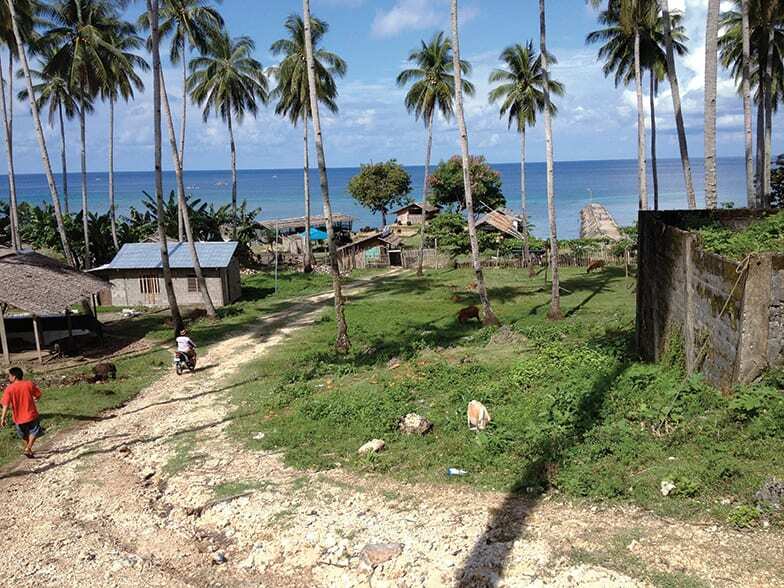 Felice prayed fervently to his “Dear Madonna” for favors for the people of the Missions. 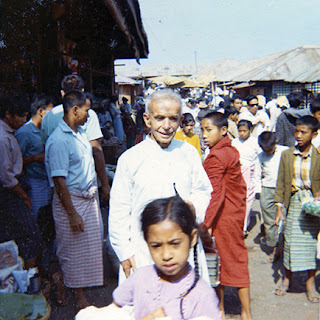 From the careful reading of his autobiography and his numerous letters which Brother Felice Tantardini has written to relatives and friends; by depositions of witnesses interviewed during the diocesan investigation in Taunggyi and in Milan; we can get an idea of the journey of faith of this Servant of God Brother Tantardini, who was in constant strain towards holiness. A kind of holiness made of small things, made of ordinary joyful fidelity to the ordinariness of daily activities. Here are some aspects that characterize the spirituality of Brother Felice, his inner characteristics: his being rather than his doing. The first virtue that emerges evidently is faith. The criteria that inspired his words, his writings, his actions, his relationships with others did not stem from calculation, nor from human logic, but from the Gospel. We can say that he saw and judged things, events, people, with the eyes and the heart of Jesus, with whom he had fallen deeply in love. 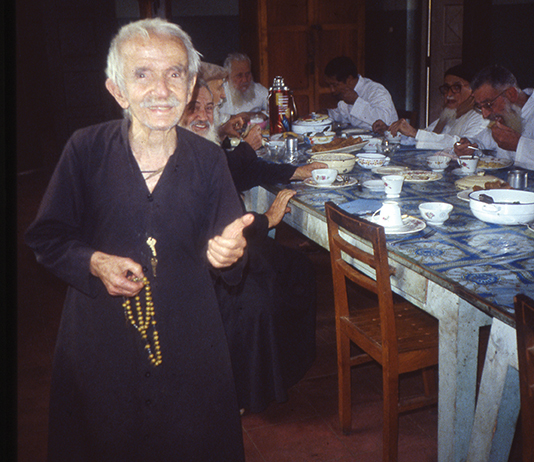 His faith was constantly nurtured by prayer and the sacraments: there he drew light and the strength to deal with all kinds of toil and test without complaining, but with a smile and peace in his heart. Photo of Brother Felice Tantardini upon receiving his Mission Cross. especially in sharing a smile with those around him. “Faith works through love,” states Saint Paul. From his love of the “Good Lord” the love of Brother Felice flowed towards all. It was love that materialized in concrete and assiduous service of others with special attention given to the neediest: the lepers, the disabled, and the sick, all without any discrimination based on religion. He did not spare himself: he was always willing to lend a hand and to do good for others. Gathered from collected statements, it is evident that this Servant of God practiced all the works of mercy: the spiritual as well as the corporal works of mercy. He was able to instruct, console, encourage, and correct always with tact. His self-giving was evident even in his obedience to his bishop or superior. He would go wherever they would send him, especially if they were sending for him to help the people of the forest. He was totally detached from material possession and, quietly, he would give to the poor all that he had, saved for what was strictly indispensible. He was beloved by all, yet he would remain humble: naturally shying away from attention. It could be said that humility was in his DNA. He would avoid places of honor and he did not like to have anyone fuss about him or wait on him. His habit was to serve others, not to be served. He was respectful toward every person, especially toward priests, both confreres and native priests, to whom he showed deference as ministers of God. Bro. Felice in the Taunggyi market in 1973. Another virtue that this Servant of God practiced with admirable fidelity – on this all witnesses of the man are in agreement – was chastity. There is no doubt that he experienced sexual impulses as any normal person would. He himself confessed to hearing, like all young men, “the blood boil in the veins,” but he was wisely formed to exercise a constant dominion over himself. His relationship with women, especially with the sisters, was characterized by respect and thoughtfulness with a special degree of consideration for their privacy, yet without displaying embarrassment or hang-ups. 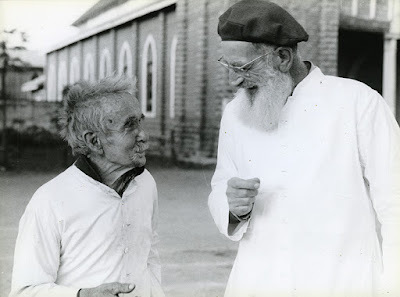 His spirit of sacrifice, his ability to face trials and the setbacks of life with patience, is part of the rich human and Christian baggage of this profound missionary Tantardini. “He wasn’t born with a silver spoon in his mouth nor raised in comforts” as he used to say. 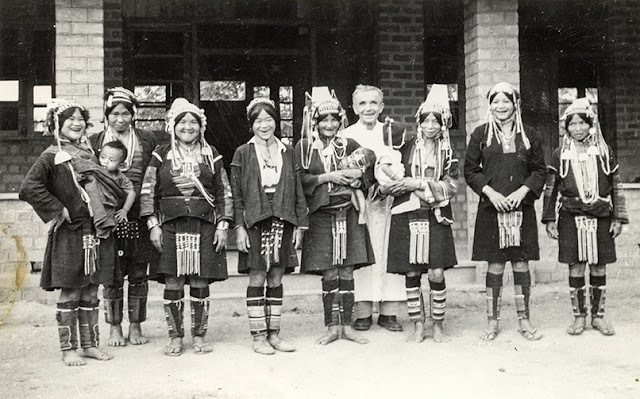 Then there were the “crucible years” of military service, imprisonment during the World War I, which hardened the temperament of the young Felice; subsequently, his missionary life, an era in a land that was marred by misery, hunger, conflict, famine. We know that even Bro. Tantardini risked losing his life in the bombings during the Japanese invasion, which lasted two years. But he came out unscathed, for the special protection of the “Good Lord” and his “dear Madonna,” as he said, but also due to his ingenuity. During the air raids, he also trembled fearfully like others, as it was natural. Nevertheless, he never allowed himself to come unglued; he always picked himself up and continued to do good for others, helped by his physique, which was minute but endowed with exceptional strength and incredible endurance. The years, however, pass for everyone. Fatigue, exhausting journeys, some surgical interventions with postoperative complications were undermining his body. Nevertheless, it was rare of him to complain, always worrying not to be a burden on others. In all his tribulations, it was his rock-solid faith and his loyalty to prayer that sustained him. He would not have been able to bear so much toil without strong inner motivation and a special help from on High, which he implored with humility and trust. the hills and jungles of Myanmar. 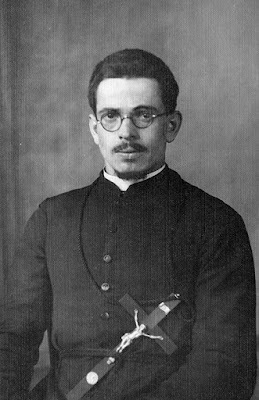 “In his final years, his daily dose of Hail Mary’s had increased impressively,” says Father Igino Mattarucco, he goes on: “He was not afraid of death; indeed he looked forward to it, as the way to meet his mother and the Madonna.” He died shortly before the age of 93, on March 23, 1991. 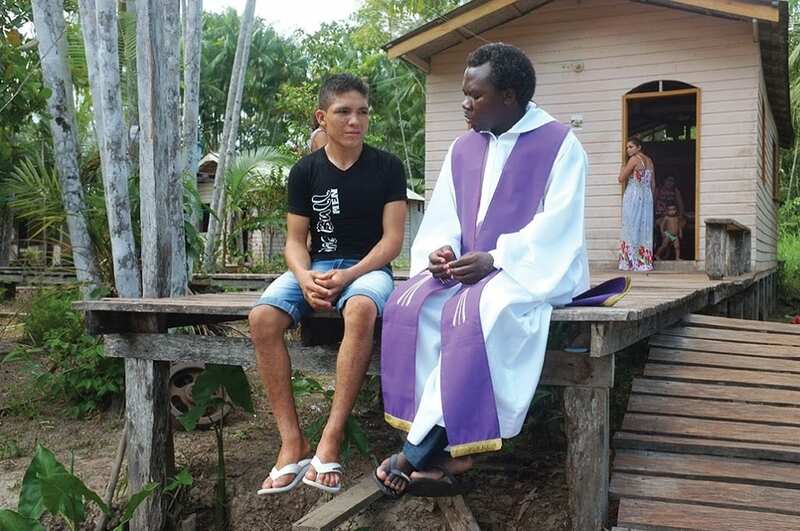 Certainly from heaven he is keeping his promise to continue to be a missionary. No longer by hammering away on the anvil, but by hammering away at the heart of the Good Lord, without hesitation, for the salvation of those poor and humble people that he loved so much, but also of all of us who invoke his intercession.